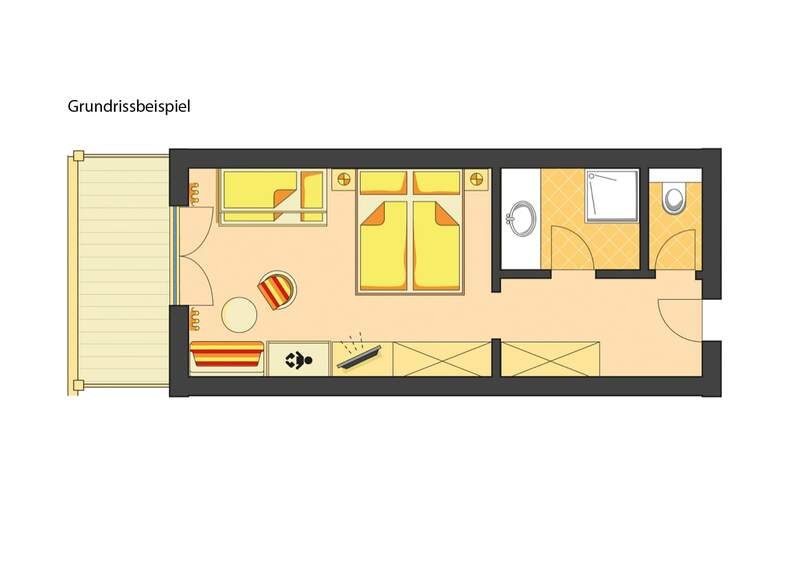 The reduced prices will be shown in the pricelist and the online booking tool automatically. 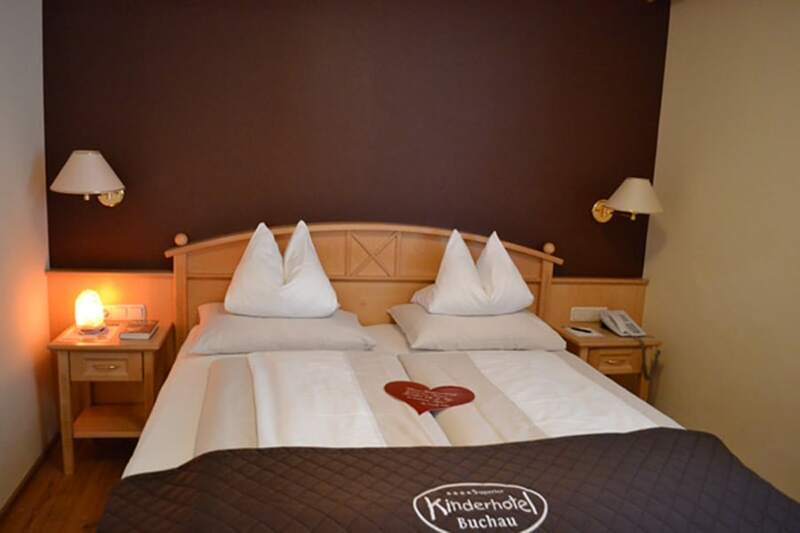 The daily rate is already reduced. 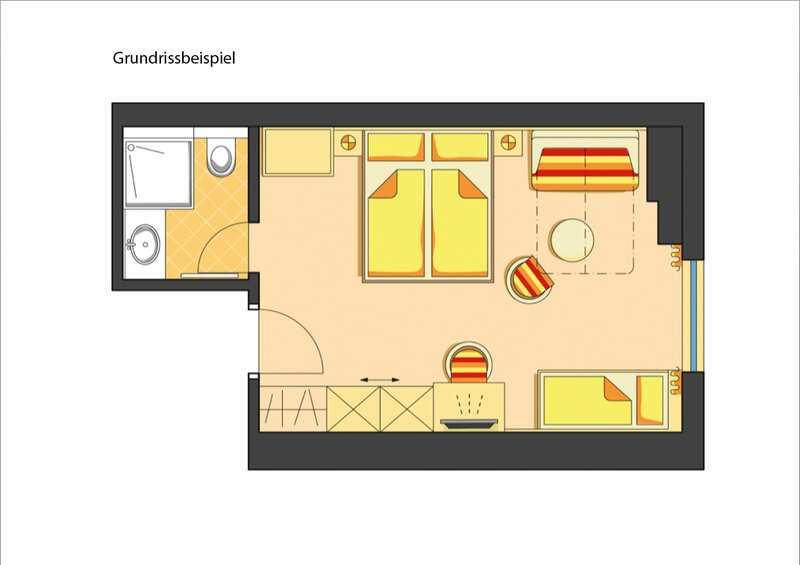 1 bedroom for the parents, 1 small children'sroom with livingarea, east-facing balcony 1 small childrenroom with bunk bed (190x90) and1 Living Room with bunk bed 190x90, east facing balcony, shower and bath, separatetoilet, hairdryer,cosmetic mirror, safe, flatscreen TV, telephone, wifi, computercontrolled baby monitoring facility. 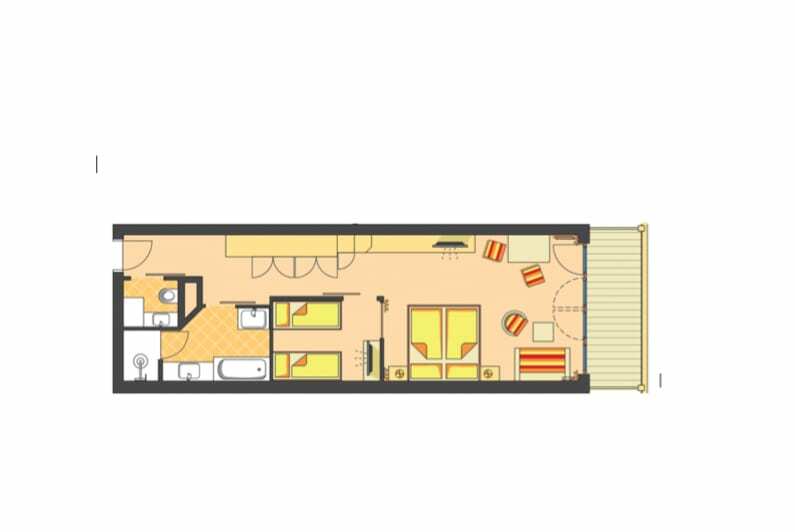 11parents bedroom with living area and south-facing balcony, some withlake view, 1children's room with bunk bed and 1 singlebed, oak wooden floor, shower andbath, separate toilet, hairdryer, cosmeticmirror, safe, flat screen TV, telephone,wifi, computer controlled babymonitoring facility. 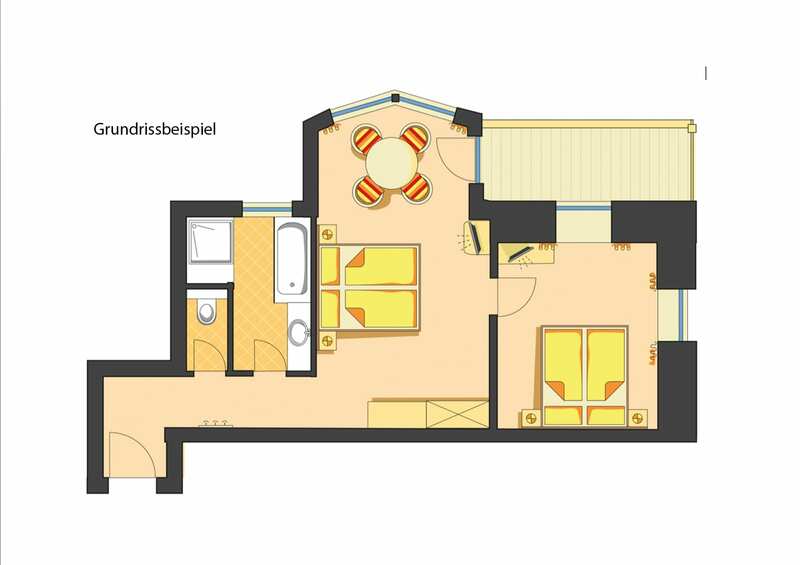 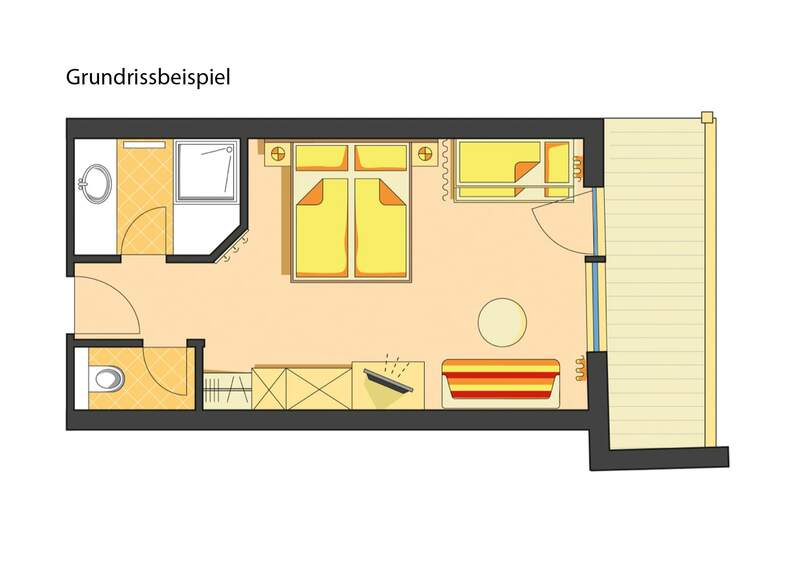 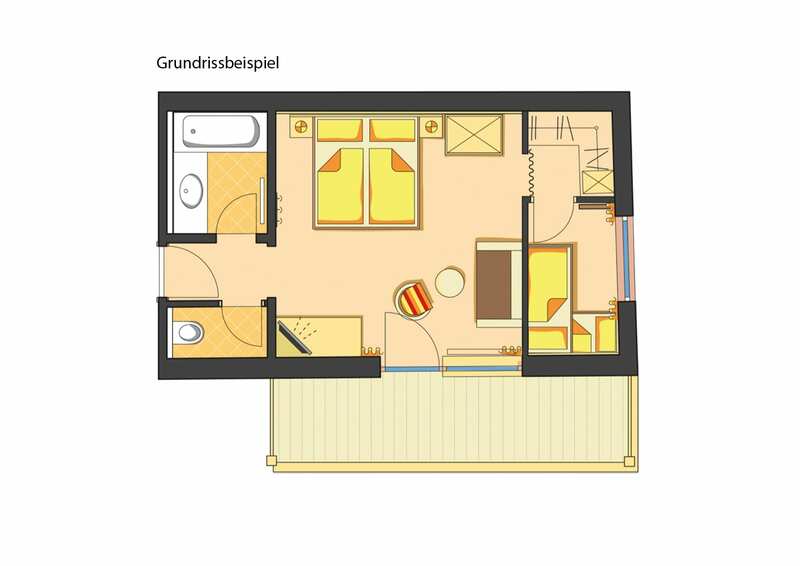 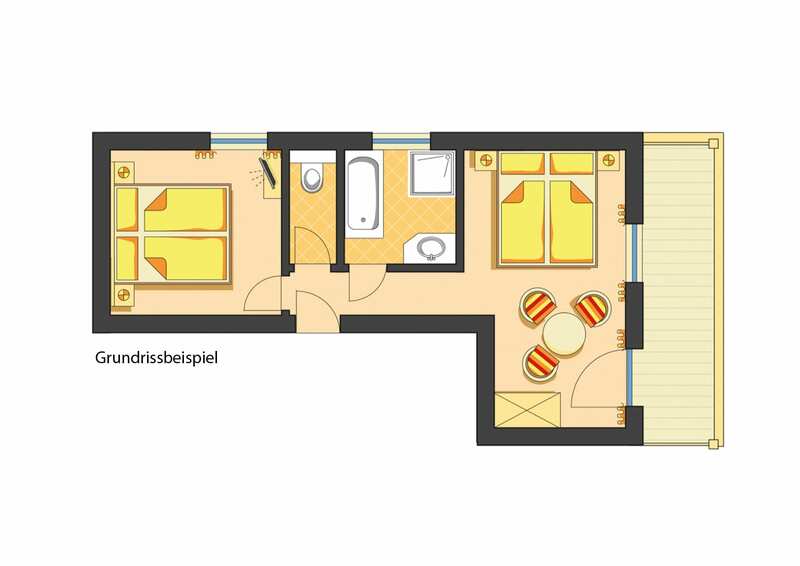 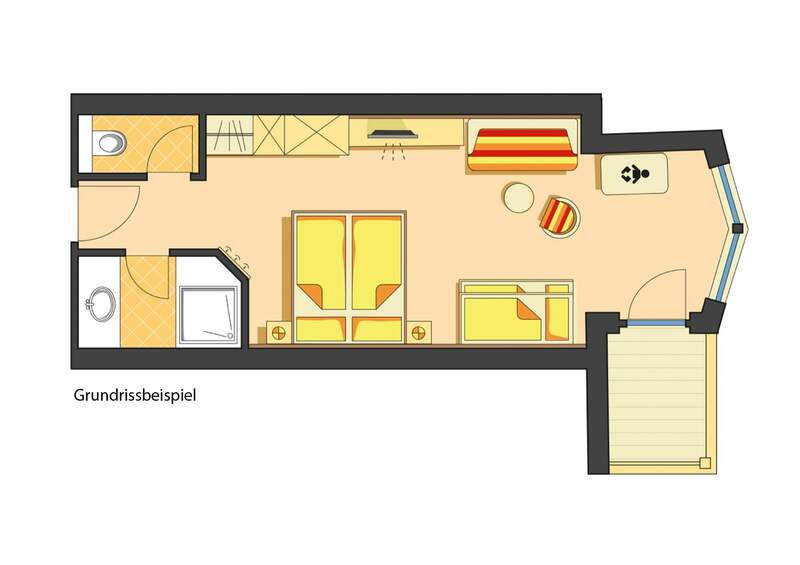 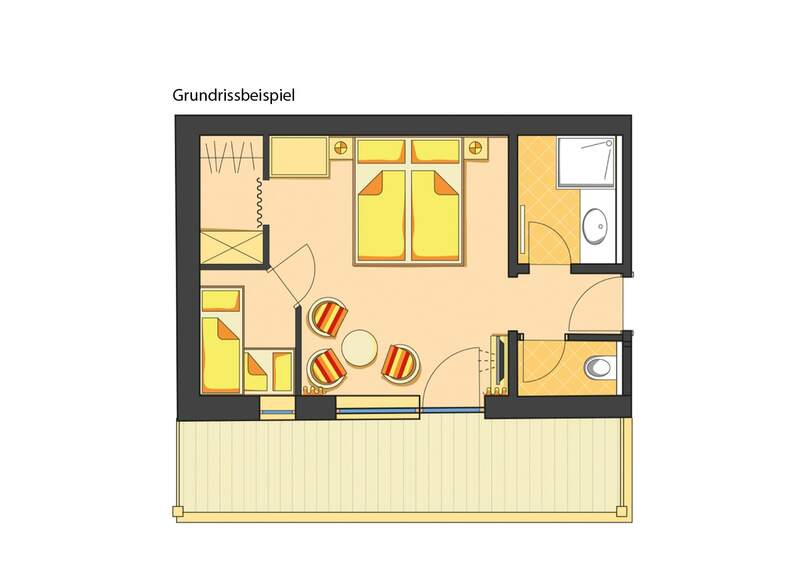 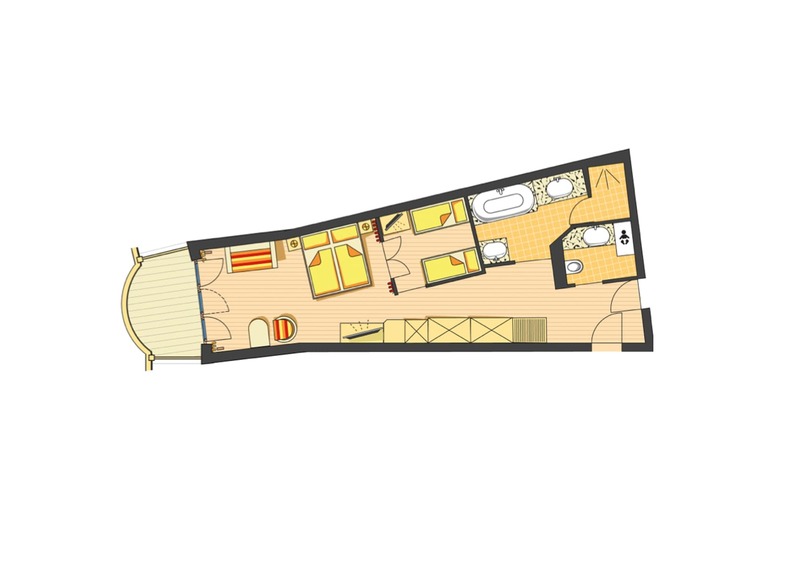 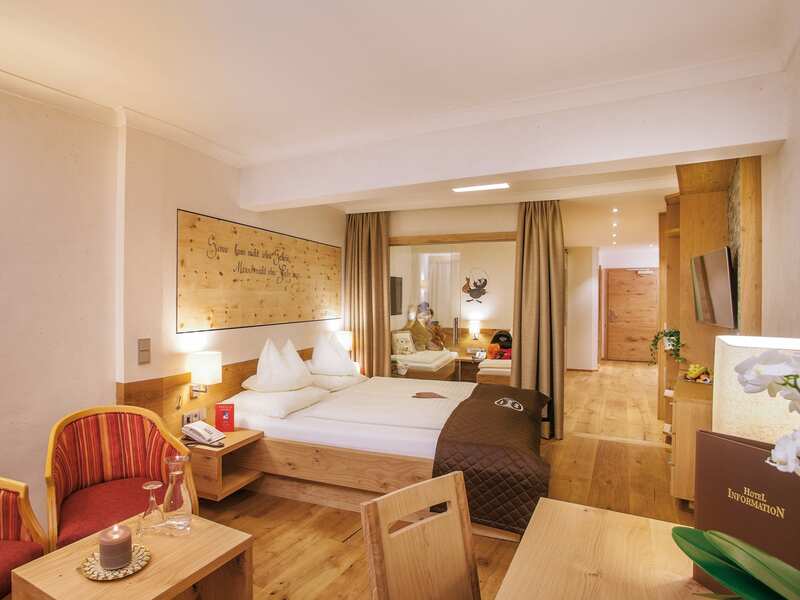 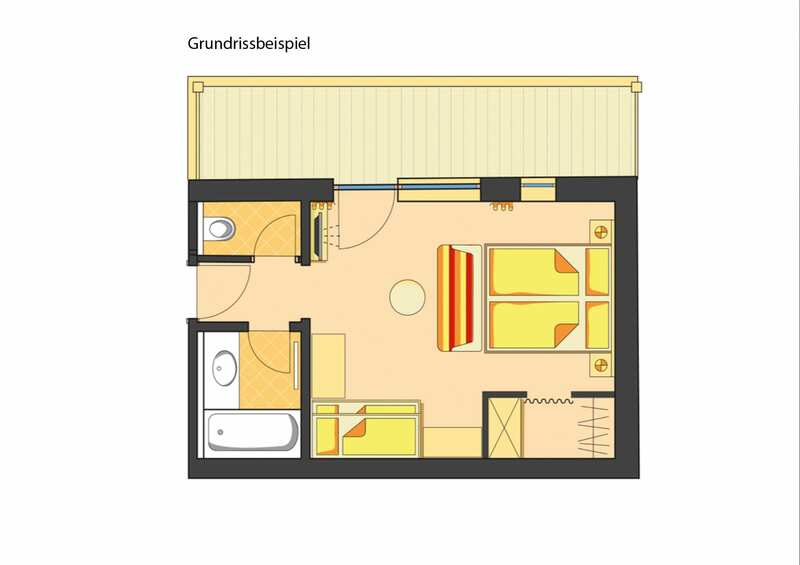 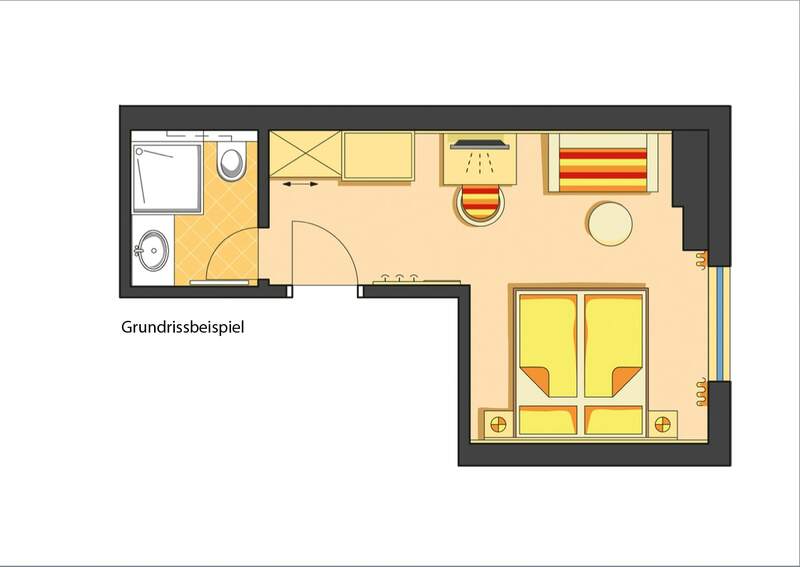 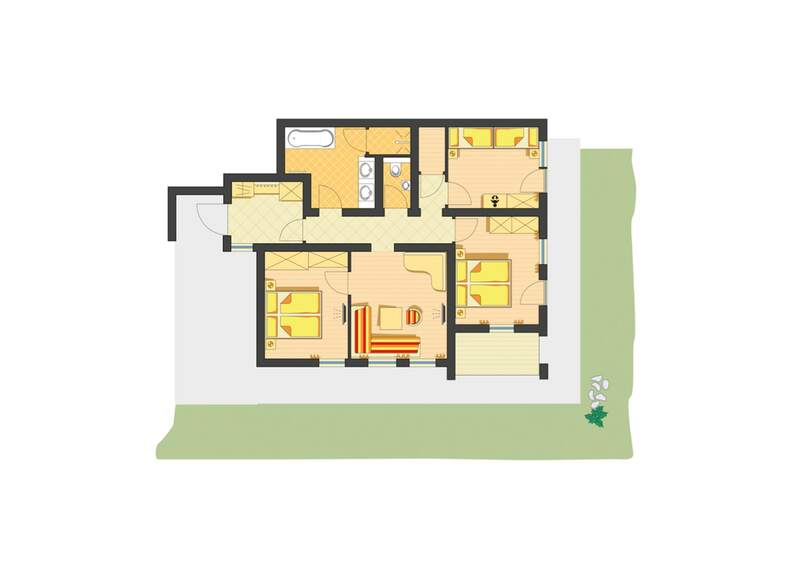 1 bedroom for theparents with living area, writing desk, south-facingbalcony or terrace, 1 children's room with twosingle beds (180 x 80 und 190 x 80, TV), oak wooden floor, fridge, showerand bath,children basin, separatetoilet, hairdryer, cosmetic mirror,telephone, wifi, Smart TV 55'' with Netflix, AmazonTV and Sky with soundbar. 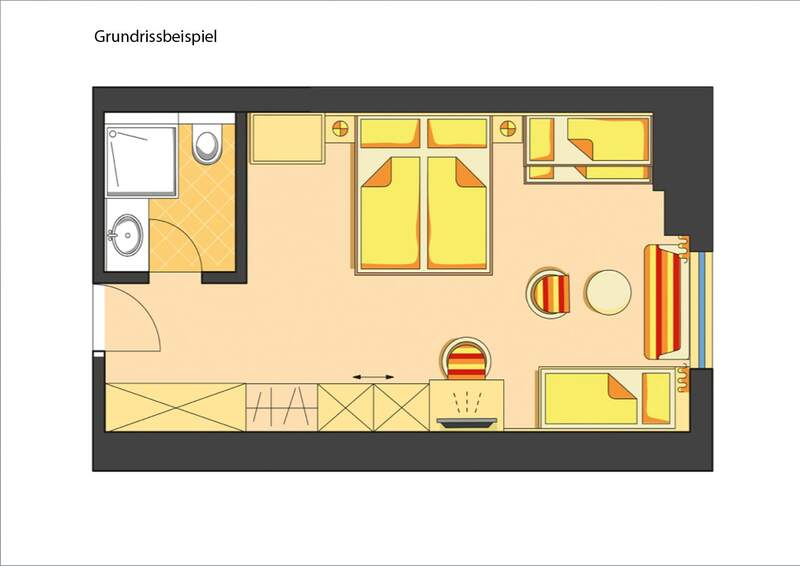 1 bedroom for the parents and 1children's bedroom with bunk bed,separate living area, showerand bathroom, separatetoilet, south-facing balconywith lake view, safe, flatscreen TV, telephone, wifi,computer controlled babymonitoring facility, hairdryer, cosmetic mirror, radio,non-smoking room. 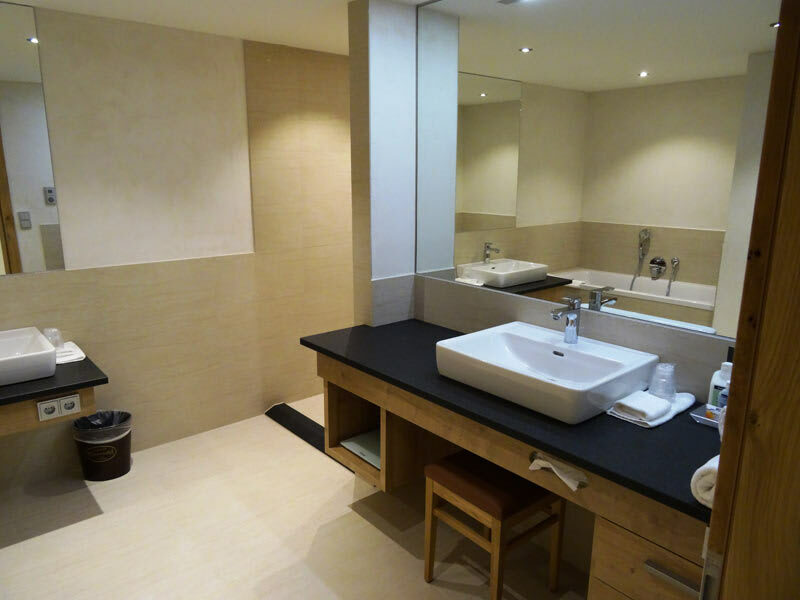 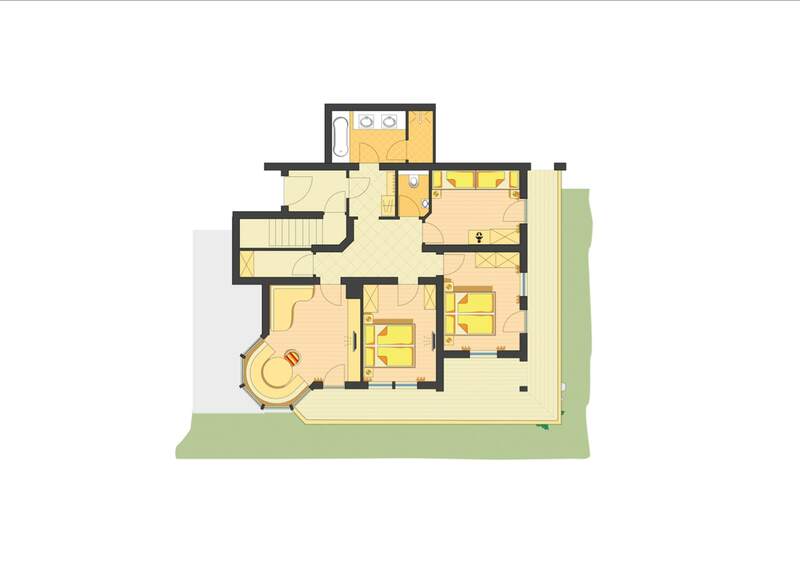 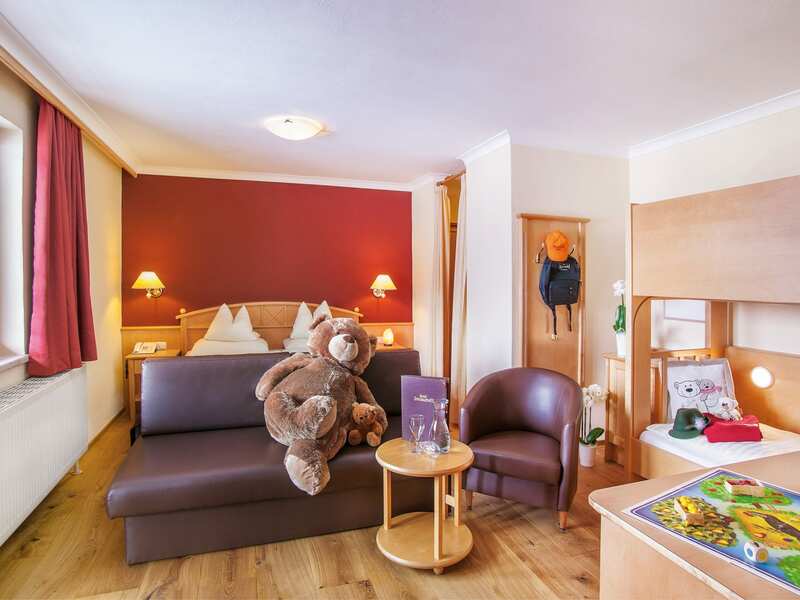 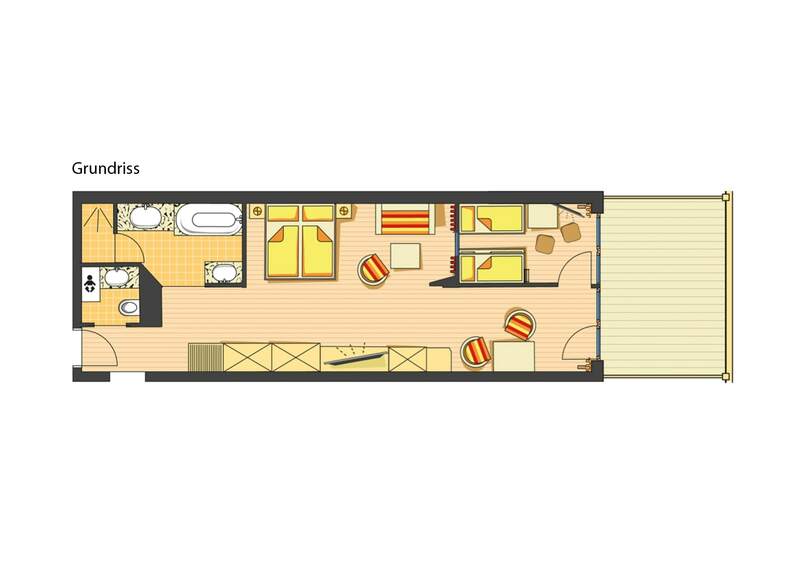 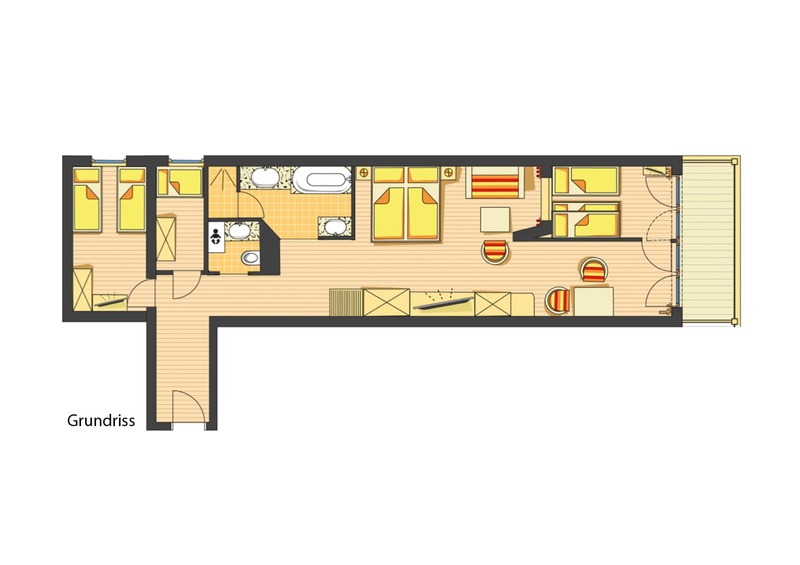 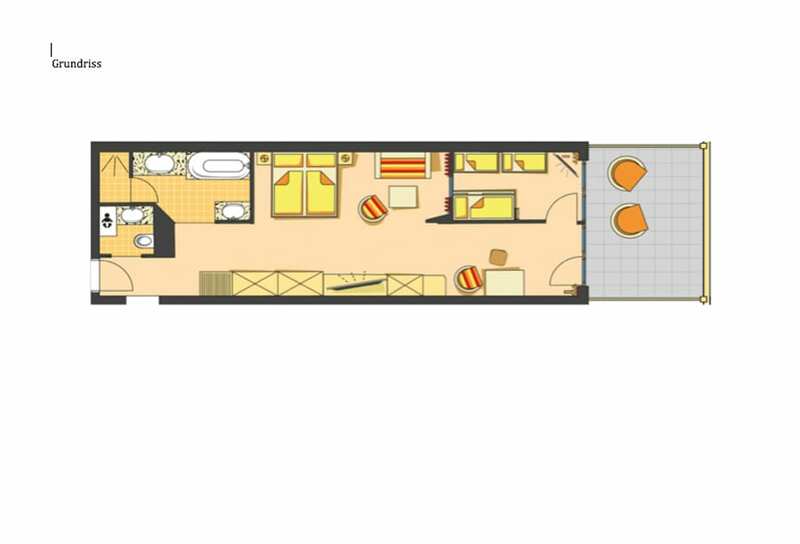 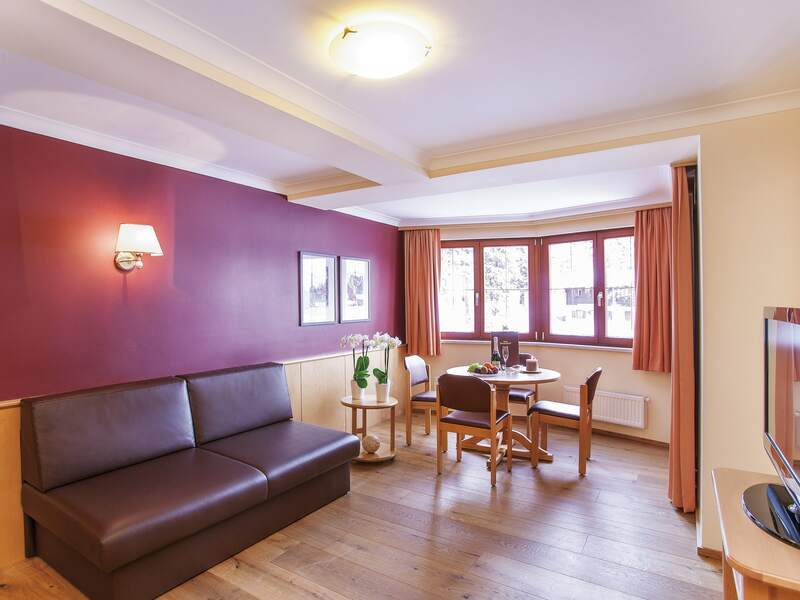 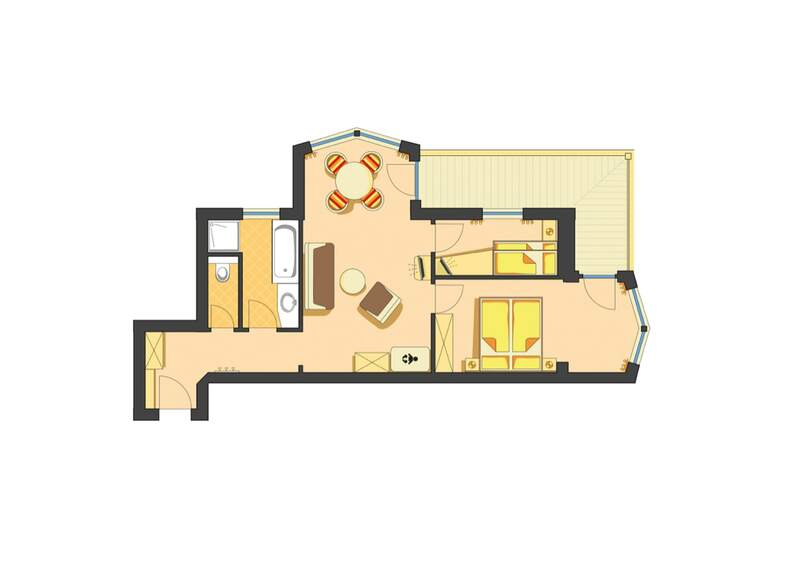 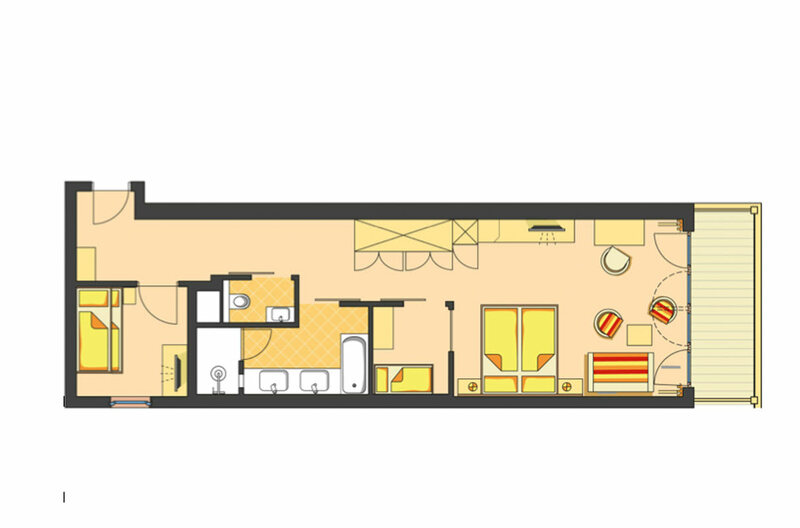 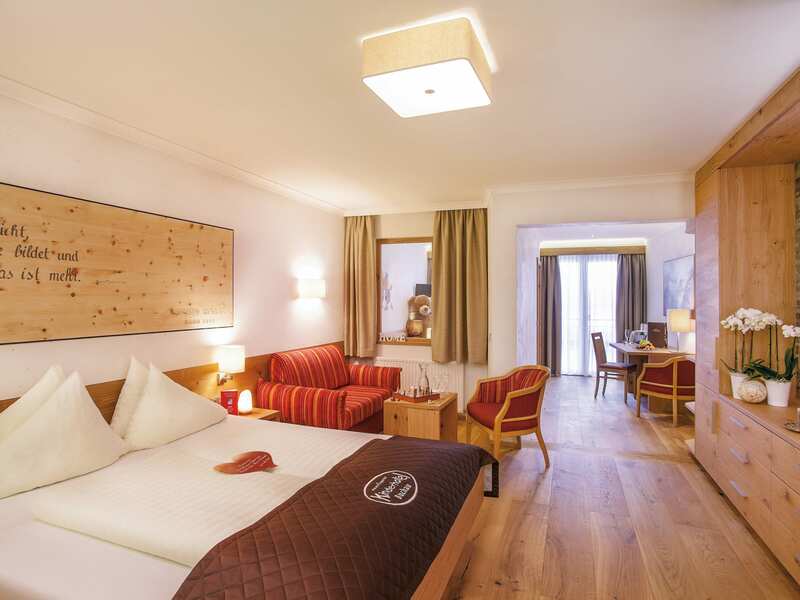 1 bedroom for parents with living area, writingdesk, south-facing balcony,1 children's room (2single beds 180 x 80 and 190 x 80, TV), oak wooden floor, fridge,shower and bath,children basin, separate toilet,hairdryer, cosmetic mirror, telephone, wifi, safe, SmartTV 55'' with Netflix, Amazon TV and Sky withsoundbar. 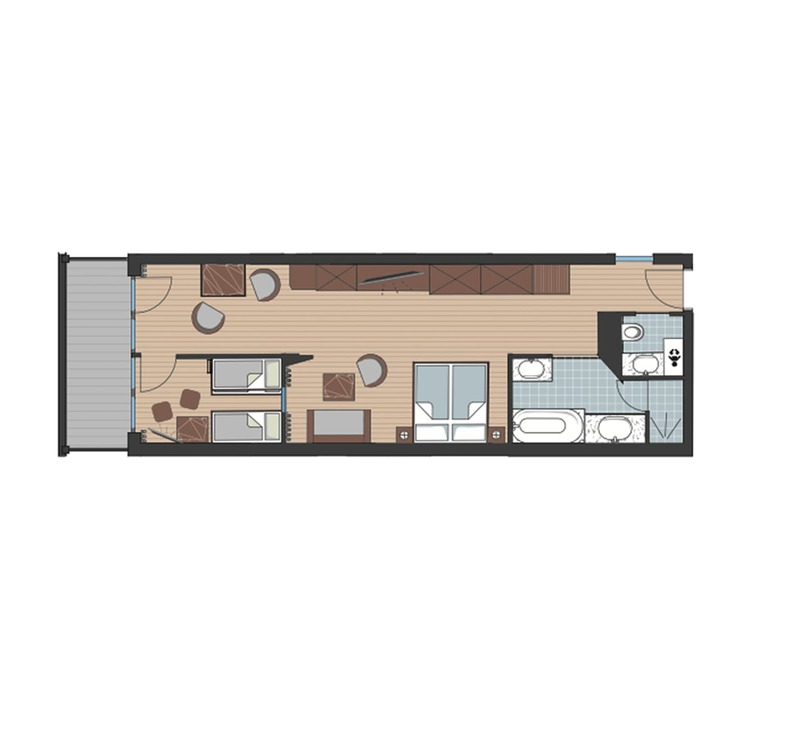 this apartment is adjacent to the mainbuilding (50 stepps). 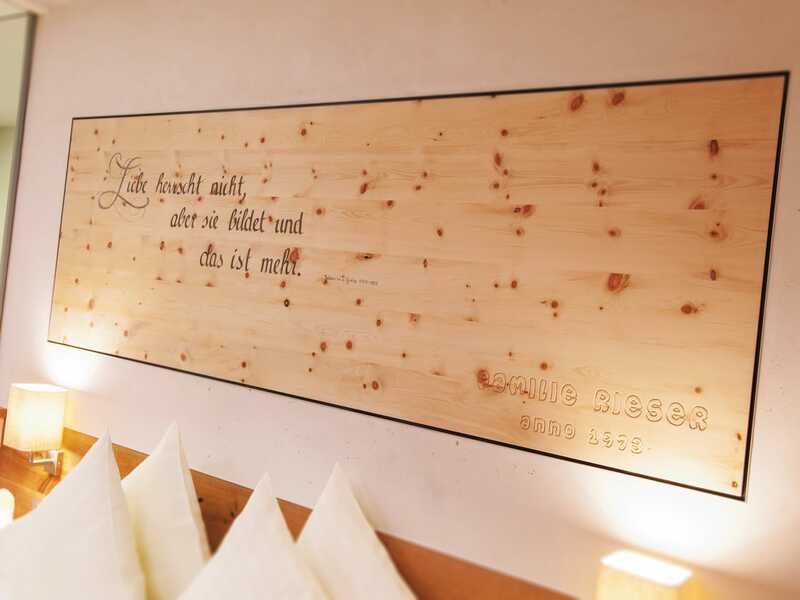 Rightby the bathinglake. 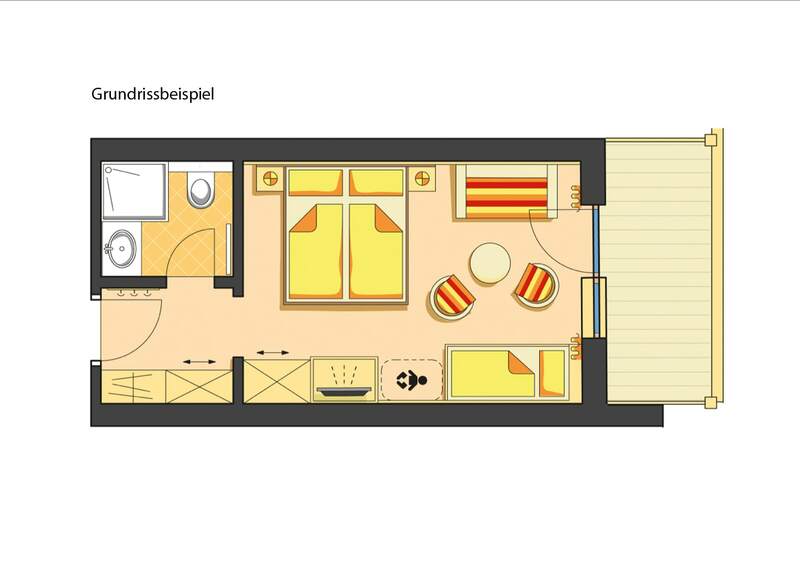 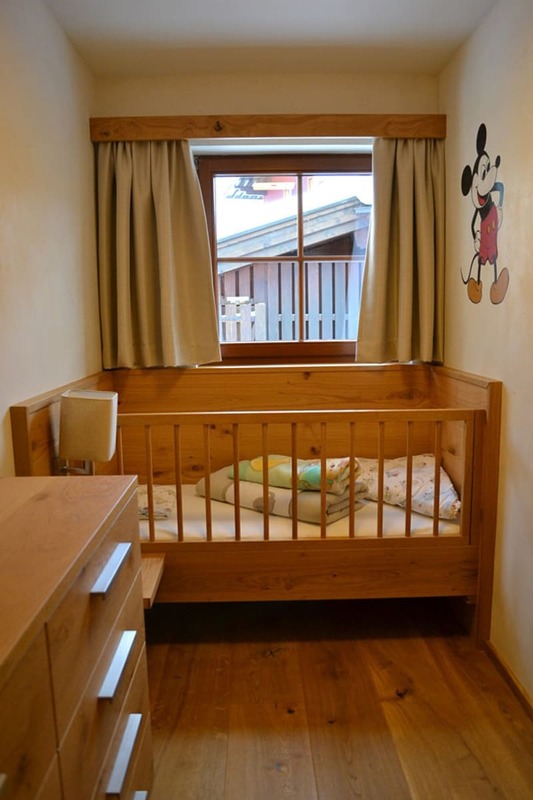 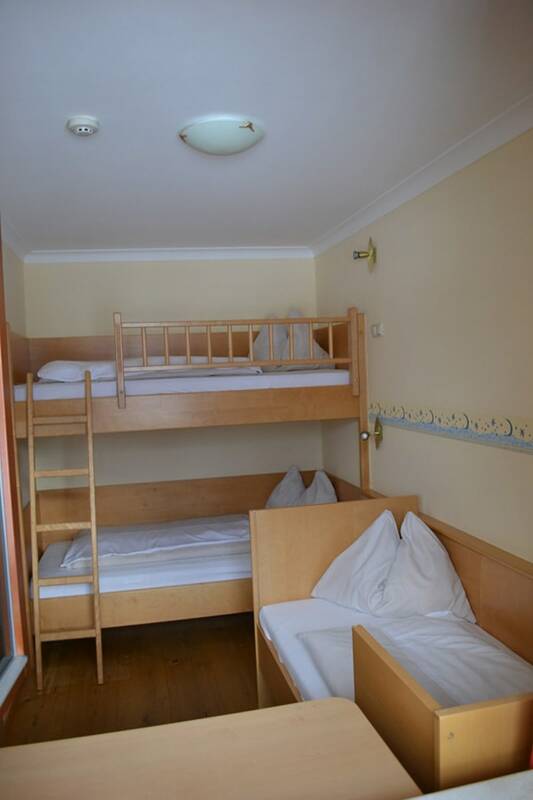 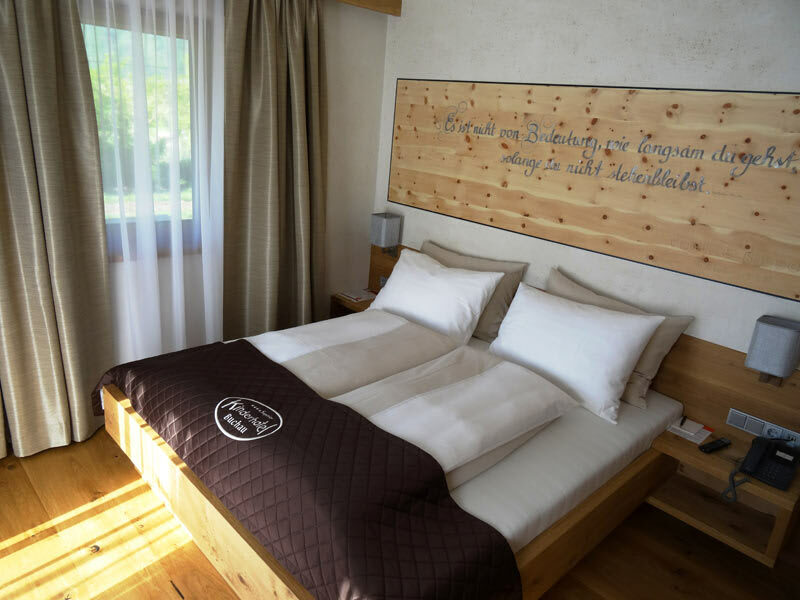 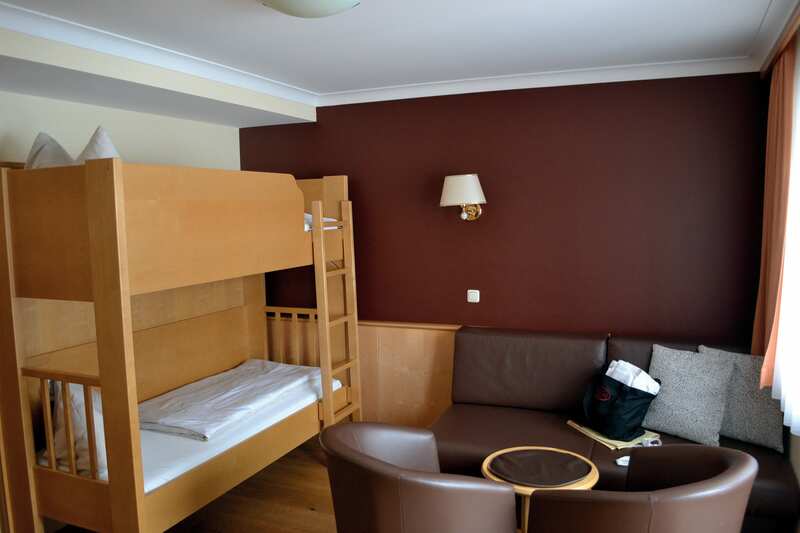 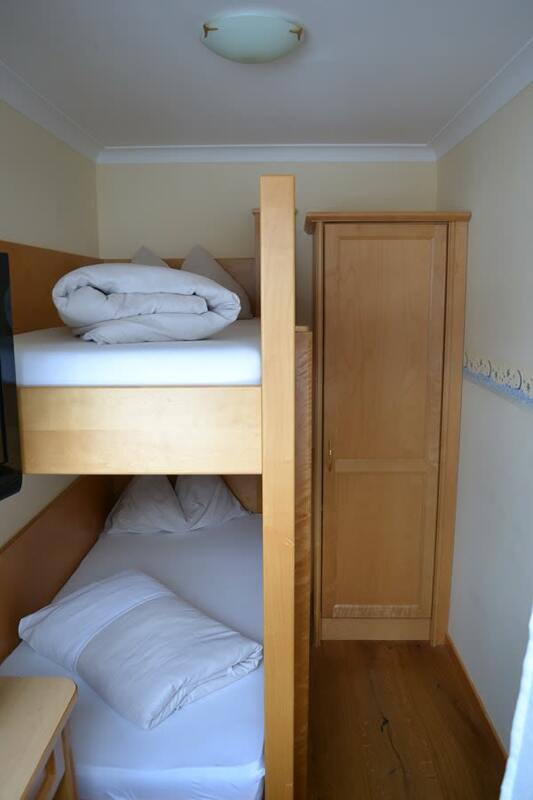 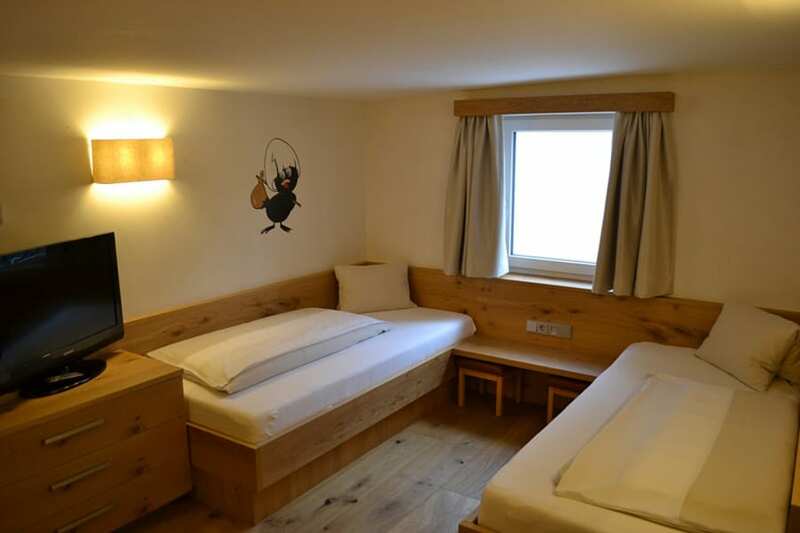 2 separate bedrooms, 1 childrens room with 2 cots (160x70) living room and sun terrace, oak wooden floor, fridge, bath, shower,separatetoilet, hairdryer,cosmetic mirrow, cable TV,telephone, wifi and computercontrolled baby monitoringfacility. 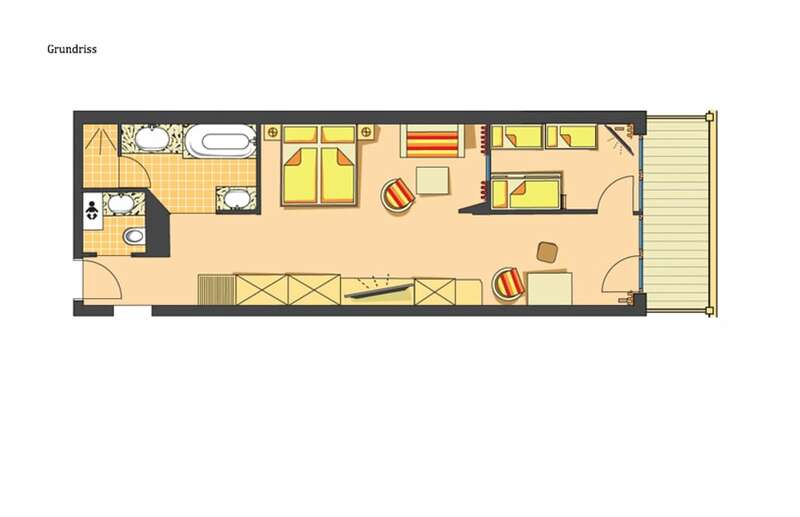 1 bedroom for parents with living area, writing desk, Terrace, direct at the swimming pond ,1 children's room(1 bunk bed 190 x 80 and 1 single bed 190 x 80,TV), oak wooden floor, fridge, showerand bath, childrenbasin, hairdryer, cosmetic mirror,separate toilet, changing table, telephone, wifi, safe,Smart TV 55'' with Netflix, Amazon TVand Sky withsoundbar. 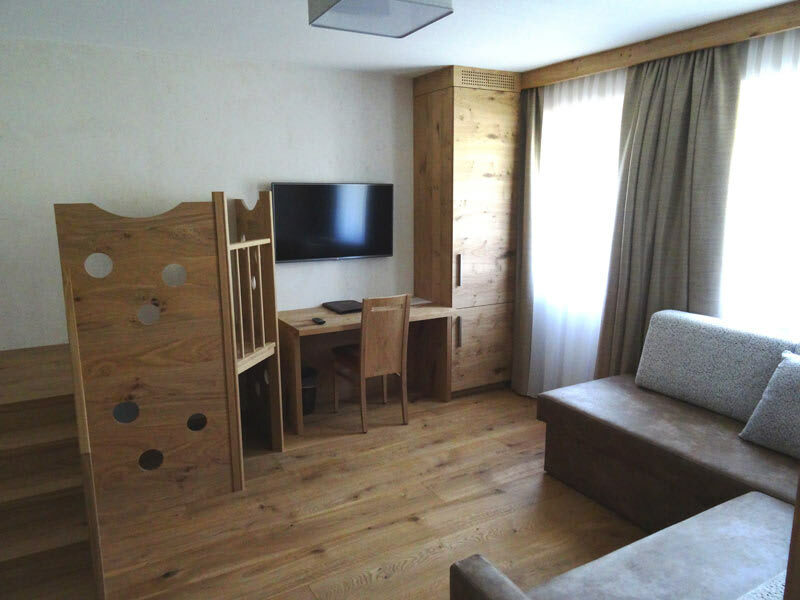 1 bedroom for the parents with living area, writing desk, south-facing balcony with lakeview and 1 children'sbedroom withbunk bed (190 x 90, TV) and, 1 snuggle zone for baby or small child with children'sbed (170 x 70, computercontrolled babymonitoringfacility), oak wooden floor, fridge, showerand bath, childrenbasin, changing table, separate toilet,hairdryer, cosmetic mirror,telephone, wifi, safe, Smart TV 55'' with Netflix,Amazon TV and Sky withsoundbar. 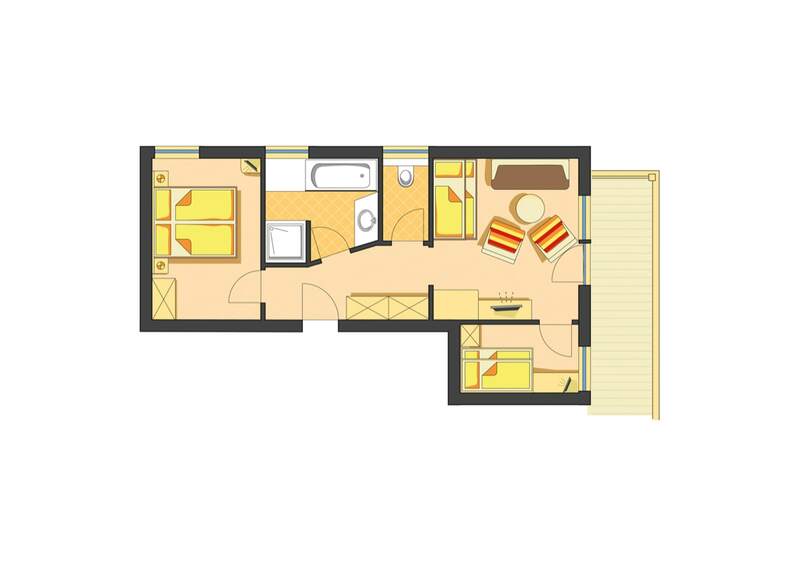 1 bedroom forparentswith living area, writingdesk, south-facing balcony,1 children'sroom (1 bunk bed 190 x 80 and 1 single bed 190 x 80,TV), oak wooden floor, fridge, showerand bath, childrenbasin, separate toilet,hairdryer, cosmetic mirror, telephone, wifi,computerized baby phone system, safe, Smart TV 55''with Netflix, Amazon TV and Sky withsoundbar. 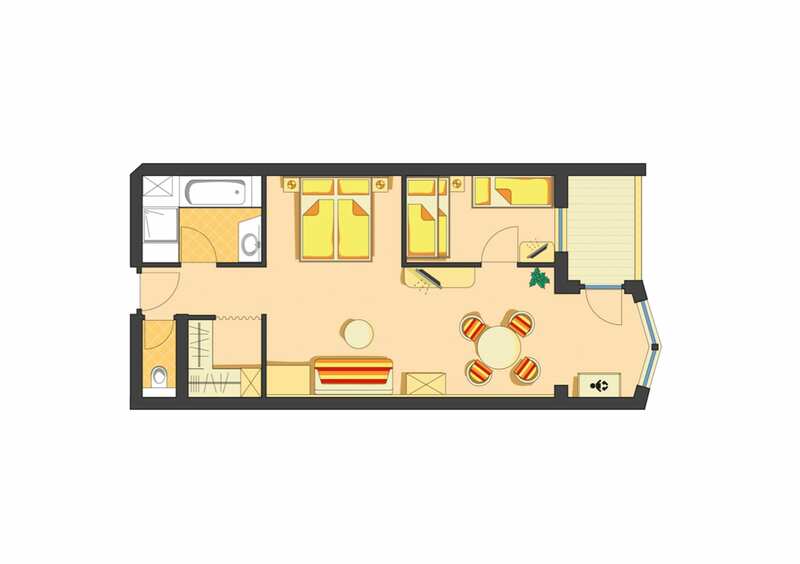 1 bedroom for parentswith living area, writingdesk, south-facing balcony, 1 children'sroom (1 bunk bed 190 x 80 and 2 Cots 130x70 TV), oak wooden floor, fridge, showerand bath, childrenbasin, separate toilet, changingtable, hairdryer, cosmetic mirror,telephone, wifi, computerized baby phone system, safe, Smart TV55'' with Netflix, Amazon TV and Sky withsoundbar. 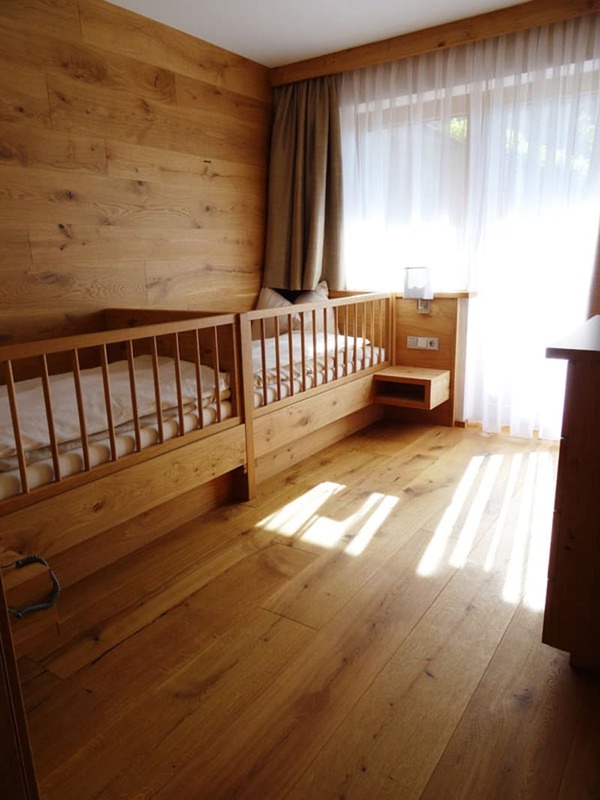 1 bedroom for parents with living area,writing desk, Terrace, direct at the swimming pond,1 children'sroom (1 bunk bed 190 x 80and 2 cots 130x70, TV and computer controlled babymonitoring facility), oak wooden floor, fridge,shower andbath, childrenbasin, hairdryer, cosmetic mirror,separate toilet, changingtable, telephone, wifi, safe, Smart TV55'' with Netflix, Amazon TVand Sky withsoundbar.